Leading event management company creates a platform resulting in 94% decrease in app development lead time. Customized mobile development services deliver a flexible, highly-scalable platform; fuel 80% sales growth and 3x app rating improvement. Our client is a leading provider of event marketing solutions for fortune 500 clients across the globe. The client wanted to create a one-stop-shop solution, which would help to perform specifically tailored event management and marketing functions for their customers’ specific needs. Their target market included software companies, OEMs, financial services, retail stores, educational and government organizations. Our customer’s end users have very unique set of requirements from event management platforms. Understanding these specific requirements to create custom solutions quickly was not easy. These apps also required a robust architecture to support many features, platforms and geos. Currently, the lead time to create these applications was more than 3 weeks and the shelf life of these apps were quite short – lasting through the duration of the event. The process was highly error prone due to heavy customization during the development process. 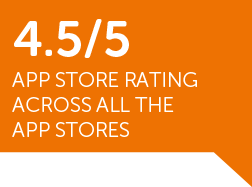 As a result, the customer’s app store rating for existing apps was low and the app was constantly receiving poor reviews. The lack of differentiation and customization resulted in low cost event solution providers to take most of the market share away from our customer. 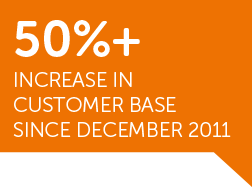 End users mindset was shifting towards mobility very quickly and the customer had to keep pace with this growing demand globally. 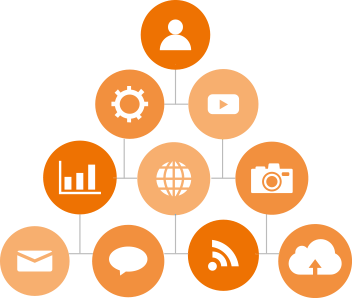 Infostretch understood the customer’s immediate pain points and the market dynamics. First, it proposed and developed a flexible and highly scalable architecture to support the multiple native mobile and mobile web platforms. The multi-tiered structure offered role based access, faster app configuration and data management. Infostretch also designed a usage tracking and monitoring system by integrating it with Google Analytics. 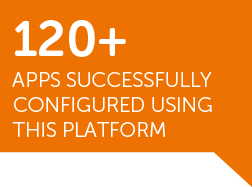 The new platform reduced the standard app development time from 2-3 weeks to less than 8 hours. It proposed a fully customizable solution with a rich UI. So, end users could create their own version with specific branding and style. It also enabled extensibility by providing customer database access via API.